Not many know of the no rinse car wash. It’s an excellent and greener way to get your car clean in a jiffy. Every car owner, whether you’re an avid car enthusiast or not, knows how vital car washing is. It’s the only way your car will ever be clean after all. Waterless car wash products aren’t new, per se. They have been around for a while. 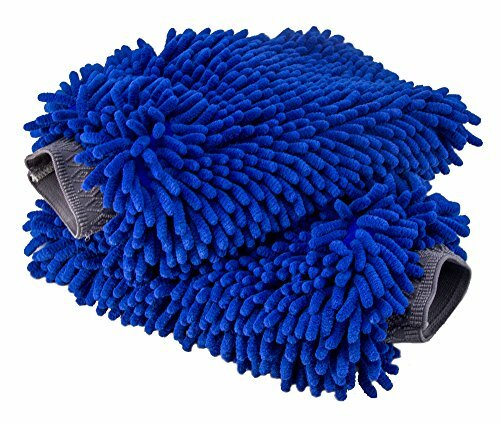 Their purpose is to offer a neat solution to clean your vehicles without having to use gallons and gallons of water in the process. Sure, it’s not the most conventional way to go, but these types of products can give you very interesting benefits both automotive-wise and environment-wise. Having the best car wash and wax isn’t the only essential aspects of detailing after all. If you could use eco-friendly ways, why not make the most out of them? Collect information about this new, effective, and eco-friendly way of car washing and tell it to your friends to help save the planet! If you want to learn more about detailing a car and the best product to use, head over to the car detailing post for more information. Discover the best rinseless car wash products you’d ever need! No-rinse products are as effective at removing dirt on your vehicle as much as shampoos. And they do so without having to use a bucket or ten of water. But why do you have to give importance to washing? Isn’t polishes and waxes more critical? Car washing is as important as any other detailing process since it’s the most fundamental step of the whole maintenance procedure. It is during the cleaning and rinsing that most of the debris and contaminants are removed from your vehicle’s finish. So yes, the best no rinse car wash is a worthy investment to add to your car cleaning kit. What is a no rinse car wash? One of the most well-known waterless car wash products right now is the Optimum No Rinse Wash & Shine. Before the rise of rinseless car washes, everyone only had one choice when it comes to car washing. And that choice was to use lots and lots of water. Unfortunately, many states now have water restrictions in place. It’s essential that they do so to help conserve water and save the planet. But, that creates a problem for all car owners who want to wash their vehicles regularly. That is what the Optimum Car Wash (ONR) is for! With this product on hand, you wouldn’t need to waste gallons and gallons of water. Just a fraction of the amount and you’ll be done! The ONR car wash is a good alternative if you want to clean your car and conserve water at the same time. This car wash is manufactured by Optimum Polymer Technologies. It was founded in 2001 by Dr. Ghodoussi, an Organic Chemist from Memphis, Tennessee. For twelve years, he supervised the research and development for polymers and automotive paint formulations. That is when he started a company that produces car care products. Optimum Car Care has various lines, ranging from the car wash to leather conditioners. One other product closely related to ONR Wash & Shine is the Optimum No Rinse Wash & Wax. Read this article if you want to learn more about Optimum No Rinse car wash and its very innovative formula. What better way to know more about the best waterless car wash products today than by reading a waterless car wash review? They might be relatively new in the market, but that doesn’t mean you can’t get them easily. 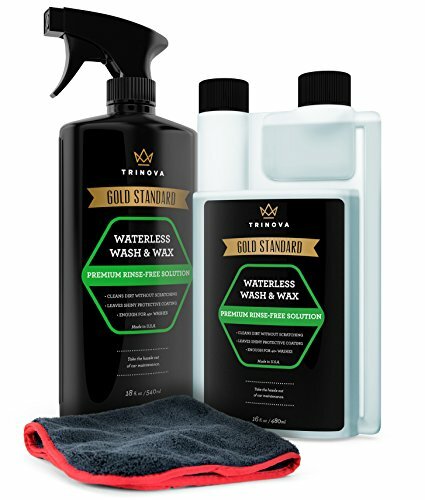 A lot of these products can be found online in stores like Amazon, and you can quickly make a waterless car wash comparison on all of them to pick the right one for you and your car. Meguiar’s is an automotive brand that almost all car owners trust. They’ve been in the business for a long time, and they have produced many cult classics throughout the years. 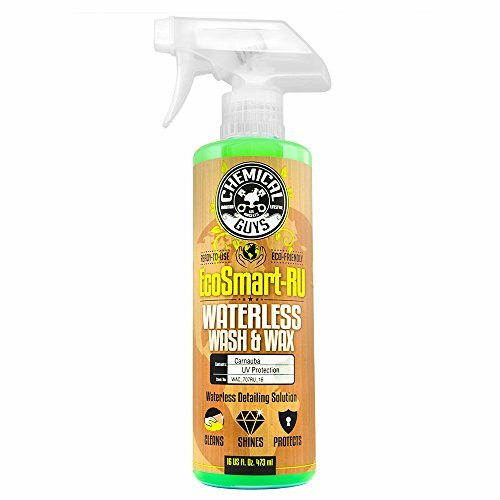 The Ultimate Waterless Wash & Wax is an excellent product for those who live in the city or those who have limited access to water. Just by spraying the product on to your car’s surface, it can lift up dirt and residue easily and even leave a protective layer behind. This layer is made up of hydrophobic wax. 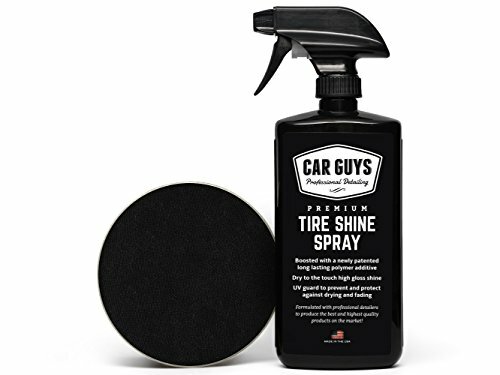 The product is designed with an advanced no scratch and water spot-free formula that also contains high lubricity features which protect your surface from ugly scratches and swirls. Its advanced polymer chemistry provides a durable synthetic wax barrier that can last for weeks. You wouldn’t even need to use heavy equipment for this! No hose or pressure washer. All you need to do is spritz and wipe away with a clean microfiber towel to help reveal a beautiful, glossy, just-waxed finish. You can even do this in just 15 minutes! Another brand you might want to check out is Ultima. It’s not as well-known as Meguiar’s, but its consistent performance makes it a worthy contender indeed. What’s interesting about this product is that it’s a concentrate. Therefore, it can last you a whole lot longer than other products. All you need to do is dilute one ounce of the concentrate with three gallons of water. Then use it like you will a regular car shampoo. 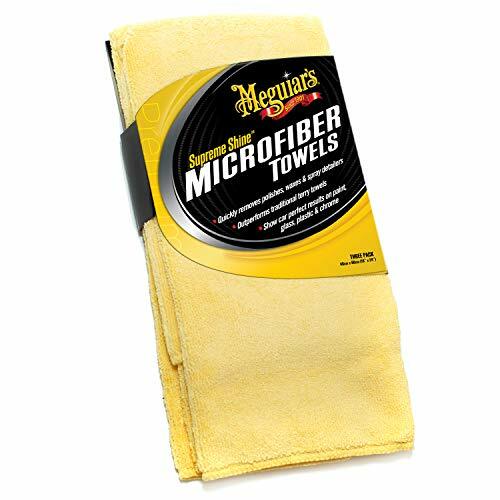 Work in small sections and wipe each section with a clean microfiber towel. It comes with its own measure bottle, so you don’t need to worry about wasting a lot of the product. You can also use the concentrate as a waterless wash, quick detailer or clay lubricant, so it’s very multi-purpose indeed. Plus, it helps you lessen the water you’ll need! 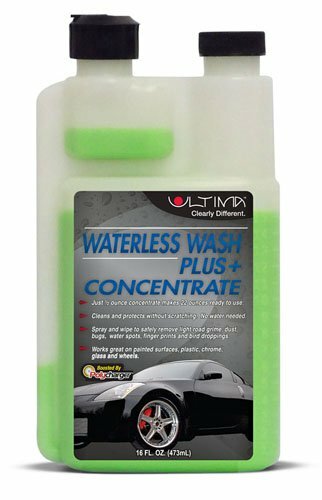 One best seller in Amazon is the TriNova Waterless Wash. But what’s different about this brand from other products is that it’s a waterless car wash kit. Yes, that’s right! You get other stuff with it, too. This kit is composed of the actual spray product, the wash concentrate, and a high-quality microfiber towels. The good about TriNova is that it really wants you to use less water and provides a very eco-friendly solution. You only need half an ounce of the concentrate to make a full spray bottle. One full spray bottle is enough to clean a full, standard-sized car. A single concentrate bottle can easily equal to 32 spray bottles that means you can get about 64 washes out of your whole purchase. That’s worthy investment right there! But that’s not the only good quality of this wash. It also provides a protective layer that not only repels water but also blocks UV rays from damaging your finish. This product can also be used on chrome and other surfaces (except for glass), as well as any color of paint. Just remember to apply the product under a shade. 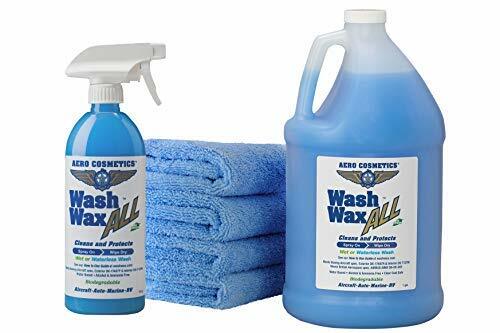 Aero Cosmetics is a high-quality, biodegradable car wash that is mainly used by Boeing aircraft. But it can also be used on your vehicles. This product has a plant-based formula that is both alcohol and ammonia free which makes it safe to use for the environment and friendly to human contact. It is commonly used by Air Force One, the military, corporate and private airline owners among others, so you know that it’s very high-performing. You can even use it any which way you want, as a regular car wash or a waterless variety. Just follow the instructions laid out for both, and you’re good to go. Just remember that this product is a wash and wax variety. That means it can only protect and enhance the glossy finish your car already has. If your paint has already oxidized or dulled, then use a polish first. Another waterless car wash spray you can look into is the EcoSmart-RU by Chemical Guys. Chemical Guys is another well-known brand with many high-performing automotive care lines. 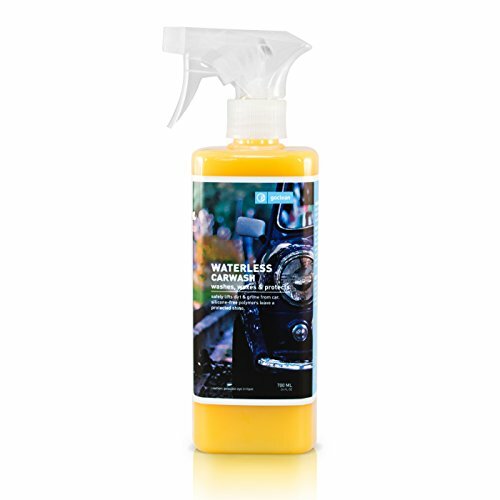 This waterless wash is no different. It’s a wash, wax, and protectant rolled in one. 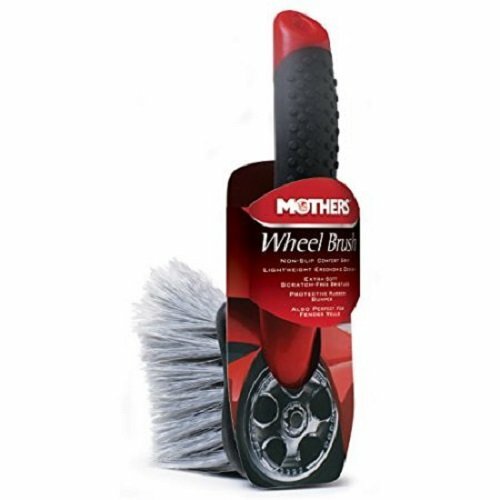 It is designed with a unique formula that can lift and separate dirt from your car’s surface, and suspend it using a blend of hyper-surfactants, organic carnauba wax, and lubricating agents. Once the surface contaminants are safely surrounded by suds, it can then be easily wiped off with a soft microfiber cloth. This formula is carefully created by combining eco-friendly ingredients with automotive gloss enhancers to provide you with high-quality cleaning as well as a beautiful scratch-free, swirl-free gloss. 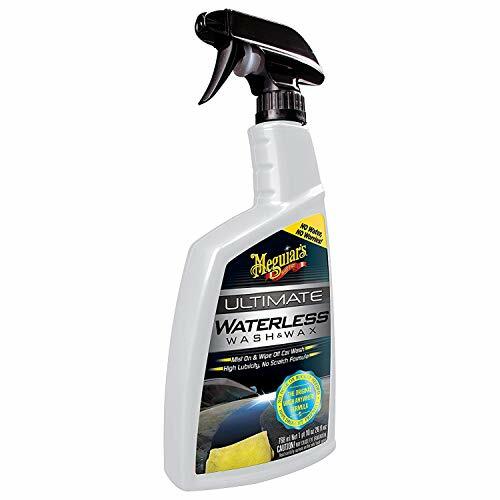 But not only that, this waterless wash can be used to clean and protect any color of paint, your wheels, your windows, and many more. First things first, a no rinse car wash is the same as a waterless car wash. But that doesn’t mean that you don’t actually need water to wash your car with. A no rinse car wash allows you to use the littlest amount of water possible while still effectively and thoroughly cleaning your ride. This is important since many places around the world are imposing water restrictions. You can only use a limited supply of water, and washing your car may not be a top priority. But who wants to drive a dirty car? A no rinse car wash is an excellent compromise between becoming more environment-friendly and still maintaining a beautiful visual aesthetic. But that’s not the only eco-friendly thing that this product does. When you rinse your vehicle, all the suds on it mix with the water and go down the drain together. Some of these lead back to the ocean and contaminates it. Using a fraction of the usual amount of water significantly lessens the amount of contamination that you give in part. There are many more types of detailing products you will need when you’re working on your car. For example, rust converters and compounds are some of the more unusual tools you might want to have in your kit. It’s the same for the car washing process. You wouldn’t only need shampoo and water. If you want a quick, thorough wash, tools like towels for your paint and brush for your wheels are essential as well. There are different factors you will also need to take into consideration, like which fabric best to use for your cleaning cloths or which glass cleaner will give you crystal clear visibility. You can also pick by choosing the best car cleaning products for black cars, or white cars, or any other color you have. Now that you know quite a few car washing products, you would probably want to know why you should even wash your car in the first place. Aside from looking more visually pleasing, giving your ride a regular car wash help make it last longer and perform better. Of course, regular maintenance will also help you lower any repair costs you may have. Keeping your vehicle clean, well-oiled, and etcetera will help protect its parts better. You can also increase your safety while on the road since its performance can improve. Plus, clean cars are more visible on the road. But, of course, we shouldn’t ever forget the original game changers of car washing. Rinsing your car with only water is good if you want a super quick wash. But it’s not enough for your regular process! Water couldn’t get rid of all the contaminants stuck on your finish. For that, you will need car shampoo. Car shampoo is made up of two-sided molecules called surfactants which attract both water and dirt. 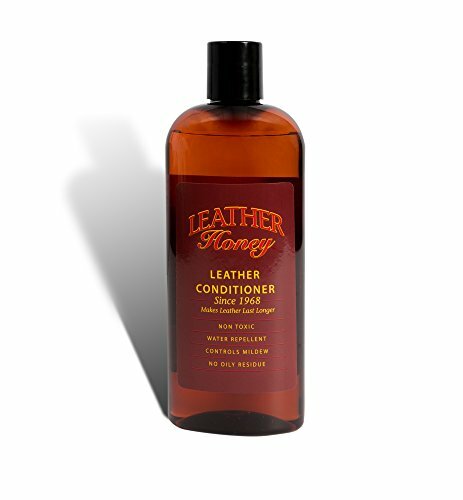 When applied, the surfactants of the shampoo will look for all the dirt on your finish and surround it. Through agitation, the surfactants can even go beneath these contaminants and the suspension it creates with water allows it to be easily rinsed off. Head to this article if you want to learn more about the best car cleaning products (especially the best car wash shampoo varieties) available in the market today. You’ve seen how extensive just one step of car detailing can be, and that’s just the simplest one! Different car detailing supplies are available for all the other detailing procedures you will need to go into. Remember that each step is as vital as the other in keeping your vehicle looking and performing its best. There is no one best car detailing brand. Sure, some brands are better known than others, and some products definitely perform better than most. But you should definitely try different brands since what one brand can do well; another can do better. You also need to take into consideration that detailing has two main distinctions as well. Interior and exterior detailing will require different sets of supplies. Search for the mix of the best car interior cleaning products that can work for you. The same goes for the best car polish and the best car wax. If you want to get recommendations in regards to what products to acquire and learn more about detailing in general, head on over to this article. If you want to specifically read more about which car polishes and waxes to try out, then read this article instead. Now that you know some of the few products you can use both for washing and detailing your car, it’s a good idea to learn how to clean it properly. It’s not just about hosing down your car with water and wiping it with your old bathroom towel. Remember that not all products are safe to use on your ride’s finish. Which part of the car you wash first is also important. Some people like to wash the wheels of their car first to avoid any splatter while others want to clean them last. Evaluate your car’s condition. Before doing anything, check what needs to be done on your vehicle. Properly maintained ones usually just need regular washing and waxing. Some might need a little more love and polish. Don’t use dishwashing detergents. Dishwashing soap has fine abrasives in them that can scratch your vehicle’s surface. Use car shampoo at all times. Rinse first before wiping down. Hose down your vehicle to remove large contaminants that might scratch your finish if you wipe it off. Read labels first. Product instructions differ from brand to brand. Make sure to read the labels carefully to avoid any nasty mishap from happening. Read this article if you want a more in-depth guide on how to wash a car properly without leaving ugly scratches behind. You can also watch this video if you want to see how a proper car washing process goes. If you’re learning how to wash your car properly, then it’s imperative that you also learn how to dry it properly. You don’t just use any kind of towel and rub it all over your car’s surface. Some fabrics are too coarse and can scratch your paint. The best way to dry a car is to use special car drying towels to pat off excess water. Wear appropriate clothing. Make sure you are wearing comfortable clothes that have no metallic zippers or clasps. Jewelry like bracelets and rings should also be removed. These can scratch your paint if you’re not careful. Let the towel do the work. Do not rub vigorously because you’ll only leave swirl marks. Put the towel flat on your car’s surface instead and let it absorb the water on its own. Consider electric dryers. The electric leaf blower is great if you don’t have the time to wait for towels to work. 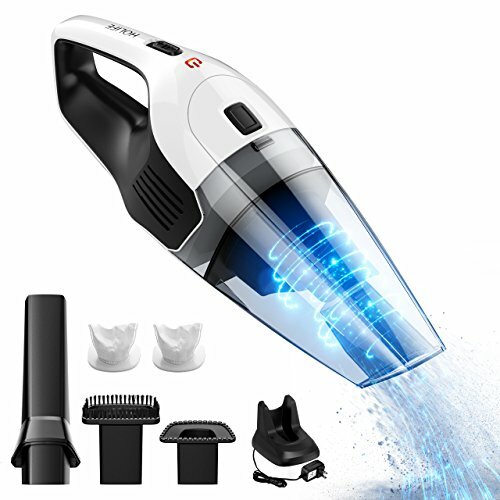 You can even dry the little hard to reach areas with its powerful drying blows. If you want to learn more about proper car drying, head on over to the article for more information. You can also watch this video if you want to see how a proper car drying process goes. Many people give importance to washing and waxing the exterior of their car. After all, that’s the part the whole can see. But that’s not the entirety of your vehicle, isn’t it? The interior is just as significant! This is where you stay when you use your car. Aside from making it look good, cleaning your interior is also a good hygienic practice. Remember that you’ll be going in and out of your car. The dirt and debris from your clothes and shoes will stick on the carpets and seats. Different scents of colognes and fast food takeouts will linger. That’s not even mentioning the probable junk you’d store inside and forget. Just like exterior detailing, its interior counterpart is made up of different essential processes if you want a thorough cleaning. You will have to wash, dry, and condition your seats. Keep in mind the fabric that’s used to make them. Some materials need special care, like leather and vinyl. You should also wash, dry, and even vacuum your carpets and floor space. Dust and tiny dirt particles will inevitably be sprinkled all over, and it’s a good idea to get rid of them soon. You should also dust your air vents to keep your air supply clean. For the most part, having a multi-purpose cleaner on hand will definitely make your job easier. It’ll be like your new best friend! Since there are a lot of different steps when it comes to interior detailing, you may want to consult various sources to learn more and get an in-depth guide on how to do everything properly. Or, if you don’t have the time, you can always seek for a car detailing services in your neighborhood. As you can see, car washing is a fundamental process when it comes to thorough car maintenance and detailing. It is also the easiest to do regularly. A lot of the processes involved in detailing rely on proper washing. The great thing now is that you know that you have lots of choices when it comes to washing your car. There are regular car shampoos, rinseless car wash, and many more to help you with your project. All that’s left to do is to try them out and get on washing!